Twitter is a direct traffic tool – sharing URLs via the service to boost clicks and visits to help increase awareness, branding and possibly drive some direct actions (signups, sales, subscriptions, etc.). Increasing the click-through rate (CTR) of your tweets is one of the most important aspects of being successful on Twitter. With these tips, you can improve the CTR of every tweet you make and drive traffic to your company’s website. People use Twitter to find a really good content from trustworthy sources. You type the keywords into the search board to get better results. This should be on your mind when you write your tweets. Add keywords to your tweets to improve their positions in the search results and exposure them to the Twitter audience. Research has shown tweets between 120 and 130 characters got more clicks. In this graph, it looks like you could easily extend that range from 110 to 130 and still find a lot of success. Some of the best Twitter accounts in the world use this style to their best benefit, with some recognizable names like the New York Times. Posting at a specific time is a strategy that could score you a more CTR. Rule no. 1 is tweeting when your followers are online for higher engagement rates. Remarkably, tweets that were posted on the weekends and in the afternoons during the week had higher click-through rates. Hashtags are a great way to improve your online presence. Mostly, People search for hashtags instead of words in the search bar. Above all, using hashtags will help you get more engagement and visibility. More exactly, you’ll get more clicks on your tweets. Use relevant hashtags in a smart way will make a big difference for your tweets. Connecting your accounts to one another is a beneficial way for people to find you on multiple networks and to engage with you where they’re most at ease. It contributes a higher CTR by proving your potential leads with multiple options to connect with you. For example, if someone finds your account on LinkedIn, they might click on your Twitter account to look at it and see what you are up to. It’s possible that they may click on some of the tweets to see what information you are sharing with others. So having multiple accounts actually increases your credibility in the eyes of potential contacts. Images are great not only for improving your Twitter stats but also for bringing a higher number of clicks. In fact, Stats shows that Tweets with images receive 18% more clicks. The more followers you have, the higher you CTR will be because a larger audience views the tweets. 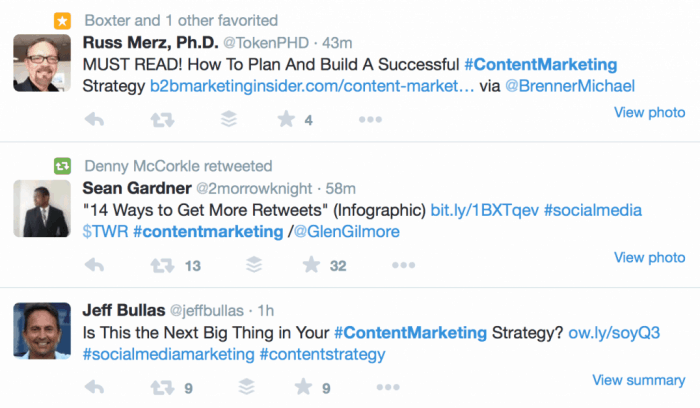 It would also be more likely that you will get more retweets which will lead to much more clicks on your tweets. It is not many people know as links typically end up at the end of tweets. But according to research, tweets that contain the link in their first quarter have a higher click through rates. Therefore, place your links earlier on in the tweet, instead of placing it at the end of the message. Online marketers have many Twitter analytics tools at their clearance to increase CTR of tweets. The most popular out there is Twitter Analytics. It’s extremely helpful, and it tells you everything you need to know to make informed marketing decisions. In addition to aforementioned Twitter Analytics, it has Hootsuite, Buffer, TweetStats, Twitonomy, Twitter Counter, and Tweetreach. They can meet your needs in terms of measuring the reach of tweets, analyzing growth, distributing tweets, determining influencers and much more other tasks. And the good thing is all of them are free! To beat the competition and increase the popularity of your tweets, use the above-mentioned tips. Twitter world has definite rules, so by following them, one can be successful there.